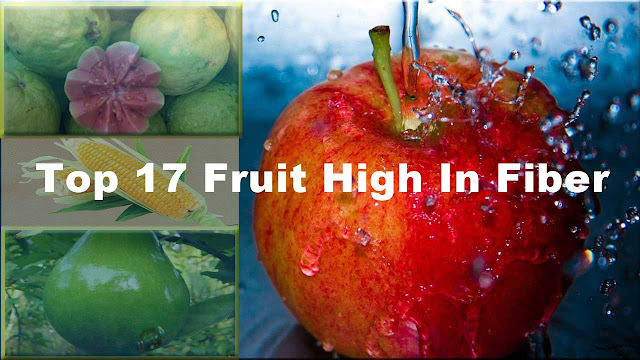 Here we will present a list of top fruit containing a higher fiber than other fruits. Fiber was just occurs in fruits, vegetables, and grains. Diets high in fiber may reduce the risk of obesity, heart disease, diabetes, guard against cancer, diverticulosis and kidney stones. fiber is responsible for quickly moving foods through the digestive tract, helping it function optimally. Fiber works by drawing fluids from the body to add bulk to the stool. Fiber helps to regulate bowel functions, reduce cholesterol and triglycerides, and strengthens the colon walls. In addition, it helps in weight loss, management of blood sugar levels, and may prevent insulin resistance and associated diseases. One medium apple contains around 4 grams of fiber. Apple is cultivated worldwide as a fruit tree, and apple is the most widely grown species in the genus Malus. One medium artichoke boasts an impressive 10.3 grams of fiber. One medium avocado contains around 12 grams of fiber. Half of a California avocado provides about 114 calories and 4.6 grams of fiber, or more than 18 percent of the daily value for dietary fiber. A small banana supplies you with 2.6 grams of fiber, and a medium-sized banana provides 3.1 grams. Larger bananas contain between 3.5 and 4 grams of fiber. Blackberries contain 8 grams of fiber per cup. Corn is a food that gives us plenty of chewing satisfaction, and its high ratio of insoluble-to-soluble fiber is partly the reason. Per 100 grams corn contains 7 grams of fiber. Corn is a large grain plant first domesticated by indigenous peoples in Mexico about 10,000 years ago. The six major types of corn are dent corn, flint corn, pod corn, popcorn, flour corn, and sweet corn. One medjool date offers your body an average of 1.6 grams of energy boosting fiber. One little, dried fig contains nearly 1 gram of fiber. 1 cup raw guava contains 9 grams of fiber. Per 100 grams kiwifruit contains 3 grams of fiber. Kiwis are a nutrient dense food, meaning they are high in nutrients and low in calories. The possible health benefits of consuming kiwis include maintaining healthy skin tone and texture, reducing blood pressure and preventing heart disease and stroke. One medium mango contains around 3.3 grams of fiber. One large orange contains 4.4 grams of fiber. One medium pear contains around 5.5 grams of fiber, but in order to get all those grams you need to keep the skin in tact because that's where most of the nutrient is concentrated. 1/2 cup dried prunes contains 6 grams of fiber. One cup raisins contains 5.4 grams of fiber. Raisins pack more nutrition than their small size might indicate. When grapes are dehydrated to produce raisins, the nutrients become more concentrated, making a handful of raisins a snack rich in vitamins, iron and potassium. One cup raspberries contains 8 grams of fiber. One cup strawberries contains 3.3 grams of fiber. Strawberries isa good source of dietary fiber, iodine, and folate. Strawberries also a good source of copper, potassium, biotin, phosphorus, magnesium, vitamin B6, and omega-3 fatty acids.